Patrick F. Bradley has been practicing in the area of personal injury and wrongful death litigation since 1980. Having worked as a solo practitioner, he has achieved a level of respect among his colleagues for embracing ethical responsibilities and promoting civility in the courtroom to achieve justice for his clients. 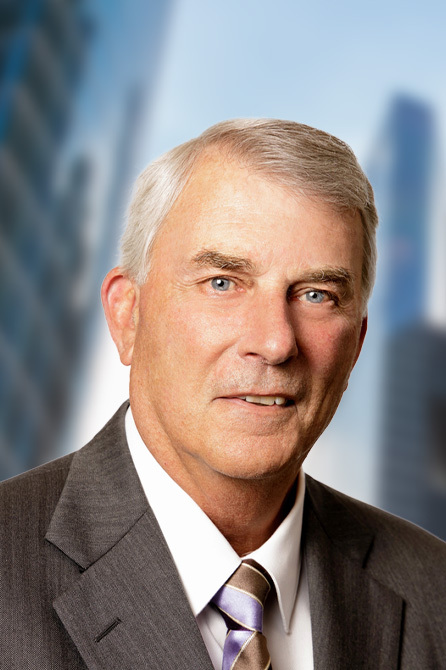 For nearly four decades, Patrick has tried cases to verdict so that his clients receive financial compensation that is fair in some very complex litigation. His legal wisdom combined with his exemplary communication skills has made a stellar member of the plaintiffs’ bar throughout Chicago and its neighboring communities. Patrick F. Bradley’s skills and genius approach to litigation is evidenced by the very clients he has represented over the years. He has been described as the “best” attorney and, “it was an honor, privilege, and pleasure to witness Pat in action over the course of the lawsuit and trial.” Another client said, “You realized that he has prepared a million times… It all unraveled before your eyes in a masterful display of competency, compassion, persistence, and knowledge of the case.” That defines the quintessential trial attorney who sets a high bar for all others. Mr. Bradley attended DePaul University College of Law where he worked at its Legal Clinic. He received his undergraduate degree from Xavier University in Cincinnati, Ohio. Pat is a member of the Illinois Trial Lawyers Association. Pat and his wife of 42 years, Linda, reside in Chicago. They have three sons, all lawyers, and 10 grandchildren. Patrick F. Bradley, a kind, intelligent attorney who offers a creative and studied approach to solutions, is a proud addition to the firm.